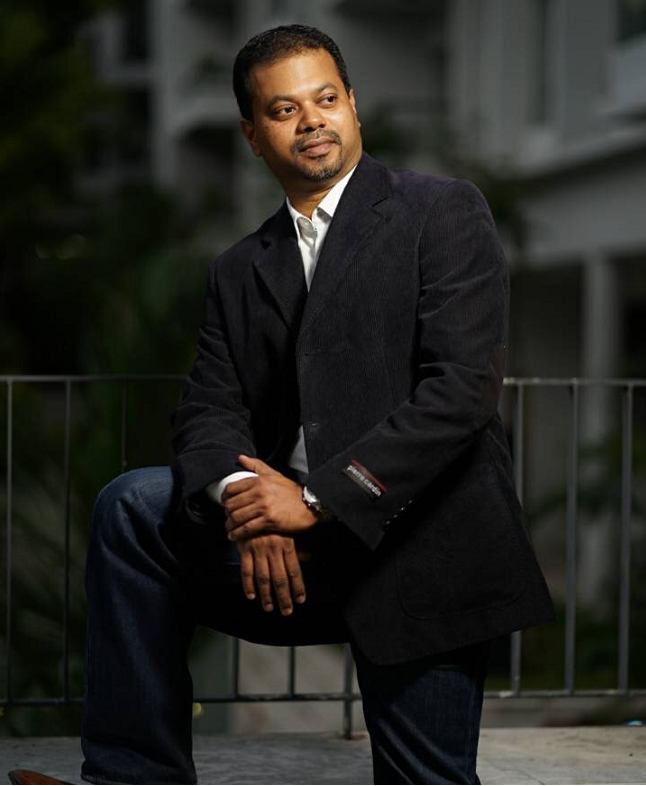 RAMESH Balakrishnan (pic), founder and chief executive officer of Malaysia-based online property management portal iResidenz, is focused on market acquisition rather than increasing the startup’s revenue stream. “We want to grab the market share to create a barrier to entry,” he reveals. Once iResidenz, which caters to condominiums and gated communities, amasses enough customers it will then shift its focus to increasing number of people in those properties who use the portal. iResidenz, owned by startup The Residenz Solution Sdn Bhd, has 55 condominiums on its books. Currently, about one-third of the residents in each of these condominiums use the platform for transactions such as making payments or bookings and for communication with their property’s management. Ramesh acknowledges this is not a big amount for 55 condominiums and about 18 months of operations. “With our limited resources, we had to decide what to focus on – customer acquisition or increasing usage. We decided that we can increase usage any time but getting the market quickly is what we need to be doing now,” he says, sharing that it aims to have 100 properties using iResidenz by year end. 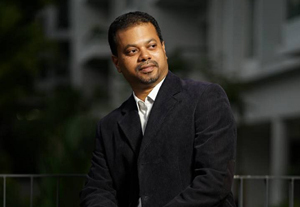 Ramesh was previously running a web and software development company, first in the UK and then in Malaysia when he returned in 2005. The iResidenz platform provides a dedicated portal with a customised url for each property. Basically, the platform connects residents, owners and management. It allows residents to access their bills, make complaints and bookings, check notices and even make payments. The management office can post notices, manage complaints, use and SMS gateway to send target messages to residents, and keep track of residents’ details. The resident committee has access to a dashboard that shows all the current issues brought up by residents and how they are being managed. “The residents will basically have a management office that is open 24/7 and accessible from anywhere because everything is online. The real-time reporting tools improve the efficiency and productivity of the management office, and the dashboard ensures accountability,” says Ramesh. Its freemium model means there is no subscription fee and the startup is also waiving the setup fee as part of its market acquisition campaign. It generates revenue mainly through its payment gateway services – users are charged a RM3.18 convenience fee each time they make payments online, a portion of which goes to the payment gateway provider MOLPay and the rest to iResidenz. Free parcel locker services from Sunway Popbox are provided at some properties; this services was instated early this year and is not in every iResidenz property yet but Ramesh says that it eventually will. Sunway Popbox pays iResidenz about RM150 per locker per month and generates revenue from wrap-around advertisements on the lockers. Home improvement services are provided through on-demand services platform RecomN; iResidenz gets a referral fee from every booking. iResidenz will also soon be providing laundry pick-up and delivery services; it is in talks with service providers. While all these services are part of the platform, iResidenz also provides an add-on tenant management service for owners at RM10 per month, where owners can send monthly invoices and payment reminders to their tenants. 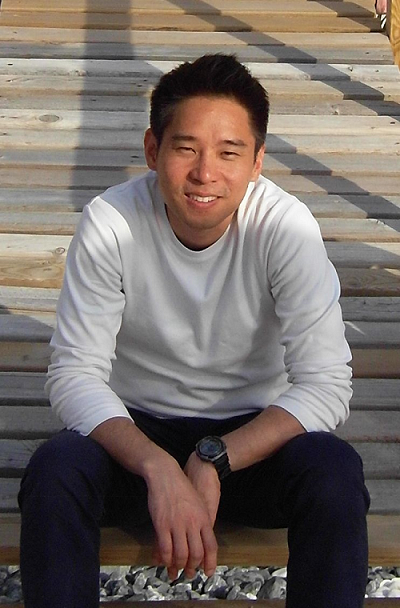 The startup’s tech team, led by chief technical officer John Choo (pic), is working to build more add-on paid services – a visitor management system and a system for developers to make the handover process more efficient and convenient. Choo reveals that the plan is for these systems to be completed by the end of the year. iResidenz also obtains revenue through advertisements on the platform. It utilises data gathered from users’ behaviour for targeted advertising. Interestingly, both BP Healthcare Group and Sunway approached iResidenz to propose the partnerships, which Ramesh attributes to them seizing opportunities to work together and target the same market that iResidenz targets. As for RecomN, Ramesh met its co-founders when they were all part of Cradle’s Coach & Grow Programme in 2013.
iResidenz came into being in May 2013 and secured its first customer in July that year but Ramesh says that the startup went through a period of very slow organic growth – what he calls its ‘hibernation period’ – because it was operating extremely lean. Growth really picked up from May 2015 after iResidenz secured its first round of funding through an angel investor, and further angel investment in November that year, though Ramesh declines to reveal the amount. iResidenz closed its pre-series A round in March this year for an undisclosed sum from e-commerce platform manager Interbase Resources, which manages, among others, Lelong.my. The funding will be used to drive its market acquisition strategy as well as expand the tech team and start local and regional expansion. The majority of iResidenz customers are in the Klang Valley but there are three in Johor Bahru (capital of Malaysia’s southern-most state Johor) and two in Kota Kinabalu (capital of East Malaysian state Sabah). “A large part of Malaysia is still untapped for us, but at the same time we are exploring some regions outside of Malaysia,” Ramesh explains. iResidenz is currently in talks with a developer in the northern Malaysian state of Penang, as well as with potential partners in Singapore and Indonesia for possible joint ventures. Choo says that though Singapore is certainly a more mature market in the sense that property management platforms are more widely used there compared to Malaysia, there are still big opportunities for iResidenz in that market. As for Indonesia, iResidenz has found that there is a lot more demand for property management platforms there than supply, making it a market ripe for plucking. Because iResidenz is targeting high-end properties in Indonesia, Ramesh says that language will not be a problem and the service will continue to be in English for the time being. iResidenz aims to be in Singapore and Indonesia by the end of this year, which will contribute to the 100 total properties it has ‘live’ on the platform. According to Ramesh, the platform should have about live 150 properties by the first quarter of next year. Though similar platforms do exist in Malaysia and certainly in the region, Choo says that what differentiates iResidenz, besides its freemium model, is that it with its added services the platform provides a whole ecosystem from which a vast amount of user data can be gathered. Ramesh admits that iResidenz has not fully used the data it gathers to add even more value to the platform, but says the focus is on market acquisition – for now. Even so, iResidenz is performing relatively better than competitors on the market – it has the largest number of live properties on its platform. It must be noted that Ramesh does not consider platforms that started out as accounting systems and have extended their services to include resident management in this estimation. “We do acknowledge there are players in the market doing something similar. But so far we don’t see any big competitor in terms of market share,” says Ramesh. Choo adds that though there are entrepreneurs trying to create similar platforms, it is difficult to make such a platform work because of the complex technology that it is built on. The immaturity of the industry, however, also means a lot of hard work. “It’s a chicken-and-egg problem when you have a platform but not enough people using it,” he says. Ramesh says that iResidenz aims to breakeven sometime next year and the long-term plan is to have 1 million residents by 2020.